The Sligo Wellington is a substantial natural rubber boot which has a 3mm Neoprene Lining to keep you warm and comfortable in the cold winter months. They are 100% waterproof. Taking waterproof comfort to new levels, using natural rubber, the Sligo boot is designed to be supple and flexible in the leg, and supportive in the sole. The Sligo Wellingtons come with removable insoles, ergonomically shaped for comfort, and have an adjustable buckle and gusset for a full range of calf sizes. The design ensures and excellent foot fit and reduces rubbing and tightness. The Sligo Wellington Boot is available in three colours, Olive, Navy and Blackberry. Are you unsure what to give Dad or Grandad for Father’s Day? The Jack Murphy victor classic v-neck jumper is the ideal present and should feature in every man’s wardrobe. This Jack Murphy v-neck jumper looks great with a t-shirt for those leisurely weekends, or dress it up with any of the shirts from our range. We have a wide selection in store so please come and have a browse. 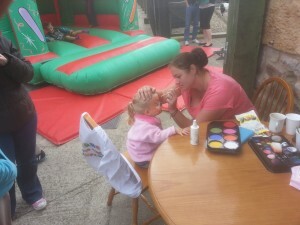 We are open seven days a week from 9.30am until 4.30pm. The Jack Murphy Ladies Finnuala Quilted Wax Jacket is this years updated version of last years best selling Jack Murphy Philomena. It is the ultimate winter warmer jacket, fully lined throughout with sumptuous Damara faux fur to match the oversized faux fur collar. Coming complete with centre front signature Jack Murphy antique brass poppers and an antique zip and elastication detail to the back waist for a magnificently feminine shape. So go on treat yourself to this practical yet stunning jacket.Available in Olive and Rich Brown, The Quality of this Jack Murphy Jacket will never fail to let you down. Keep warm this winter whilst still looking your best. Have you checked out our new Jack Murphy Summer Range? Looking for a short sleeved summer shirt with ultimate comfort? Then look no further than the Jack Murphy Mark Shirt, Lightweight, cool and stylish with Uber Soft touch pure cotton. 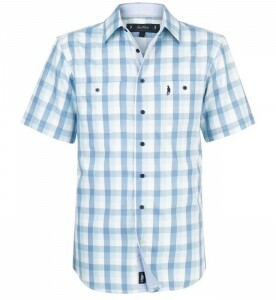 This Jack Murphy Mark shirt is a classic summer shirt made from pure cotton, it has short sleeves and is available in a bold fresh gingham check. Finishing touches include two chest pockets with button closure, woven shirt label to bottom hem on, branded Jack Murphy embroidery to left chest pocket and contrast shirting to inner collar and top underside placket. This Jack Murphy Men’s Shirt is so universal, wear it with your favourite shorts, jeans or pants it will suit any and certainly make you stand out for your impeccable taste. Layer it up with any of the Jack Murphy Gilets, Jackets or Jumpers and make yourself Mr Fashionable this summer. 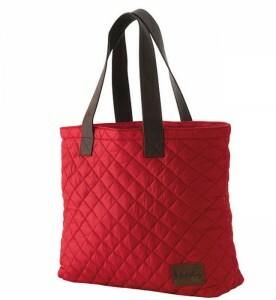 Are you looking for the ultimate Shopping Bag / Beach Bag? Then look no further, as we at JC Country have just the thing! The Jack Murphy Heidi is a colourful, lightweight and practical quilted Nylon shopper / beach bag, designed to coordinate with the Jack Murphy Shirts, Emma Hat and an array of women’s quilts in the Jack Murphy Ladies collection. So whether you use it to go down the shops, as a large Handbag; as remember ladies you need to fit everything in apart from the kitchen sink or to keep your belongings in for that trip to the beach. 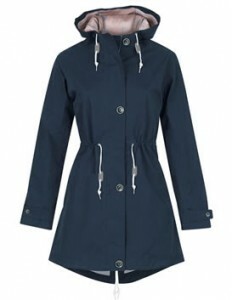 The Jack Murphy Heidi is just the thing, with its vibrant colour and usefulness its bound to make you stand out. The Heidi Comes complete with Finishing touches including a vibrant lining in matching shirt fabric, quirky rope drawstring closure, faux leather handles and a secure zipped inside pocket. The Jack Murphy Men’s Shane Quilted Gilet is a Contemporary Nylon quilted gilet style with inspired detailing… this seasons must-have. Whether it be to add an additional layer to a shirt or a double layer with a shirt and Jumper, this fashionable and Stylish Men’s Gilet is just the thing. 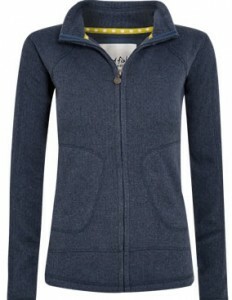 Its smart yet casual and will not look out of place at any occasion. Brilliant for the spring and summer months as an outer but still useful in autumn and winter as an additional under layer. 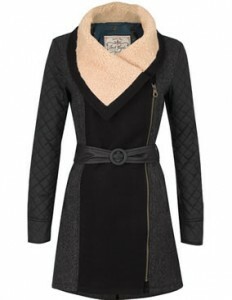 Warm and quilted yet not bulky. A brilliant addition to any gentlemen’s wardrobe, old or young this Jack Murphy Shane Gilet comes with no age limits or restrictions, suitable for men of all ages. Coming in Both Java Chip and Navy Blue why not team it up with Jack Murphy Mark Shirt, Jack Murphy Ciaran Men’s Shirt or the Toggi Kempsford, or over the Jack Murphy Darragh. Suitable with Jeans, trousers or chinos, this Jack Murphy Gilet is so universal. 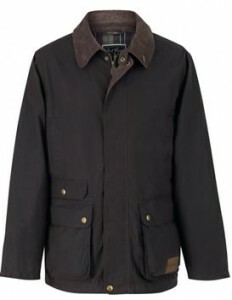 The Shane comes completed with several finishing touches including vertical quilting detail to front and back yokes, pocket welts and outer collar, traditional cord to inner collar, branded pin badge to pocket, snap fastening to centre front, snap vent to hem, sandwich quilting to matching Nylon lining, internal seams bound with contrast shirting fabric and protective welt waist pockets with zip fastening. 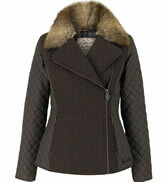 Do you need this seasons must have light weight Men’s Quilted Jacket to complete that favourite outfit? 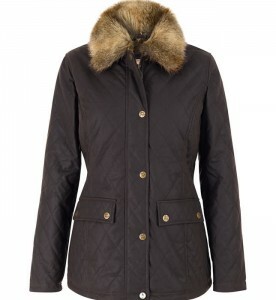 Then look no further that the Jack Murphy Kevin Quilted Jacket. The Jack Murphy Men’s Kevin Quilted Jacket is a striking nylon quilted jacket with impeccable style and detailing. Finishing touches include internal seams bound in contrasting shirt fabric, traditional cord to inner collar and snap fastening to centre front. It comes complete with a branded Jack Murphy pin badge to pocket, snap vent to hem and cuffs and sandwich quilting to matching Nylon lining. The Jack Murphy Men’s Kevin Quilted Jacket has protective welt pockets with top and side entry, zip fastening and faux leather zip puller, welt chest pockets and vertical quilting detail to front and back yokes and stylish elbow patches. The Jack Murphy Men’s Kevin Quilted Jacket comes complete in Java Chip colour. 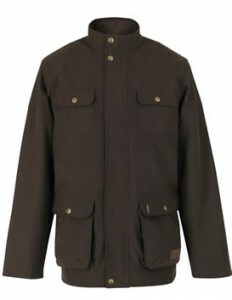 If you like this Jacket why not take a look at the brother body warmer the Jack Murphy Men’s Shane Gilet. The Jack Murphy Ladies Roseleen Wax Jacket is an exceptionally flattering and feminine wax style Jacket to add to our Jack Murphy Ladies Range. A good alternative colour if you’re fed up with blacks and Navy’s, its Burnt umber colour can be paired with most colours and can add the finishing touch to any outfit. 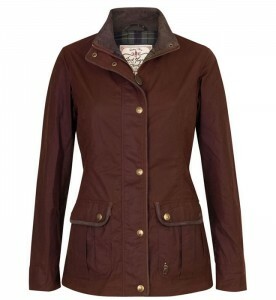 Dress it up or down this Jack Murphy Ladies Roseleen Wax Jacket is suitable for all occasions. Practical yet fashionable. 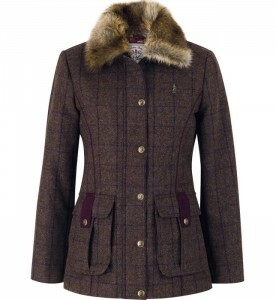 This Version of the Classical Ladies Country Clothing Wax Jacket has its own finishing touches including quilted side panelling, bellowed pockets with pleats at top entry to create shape, adjustable waist tabs, cord detail to inner collar, snap vent to cuff with Classic Check lining, branded pin badge to left waist pocket, antique brass snaps and YKK zip with outer popper fastening to centre front placket and traditional cord binding to centre front placket, pocket flaps with popper fastening, waist tabs and top collar. At Jack Murphy they pride themselves on producing Irresistible Irish Clothing & Accessories. They are truly passionate about fusing classic, timeless country styles with a contemporary twist. There dedicated design team strive to enhance each and every style with thoughtful and luxurious finishing touches, making the Jack Murphy range wonderfully unique…brimming with personality, individuality and more than a touch of Irish charm. 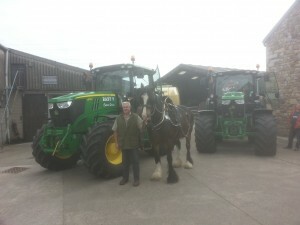 Jack Murphy live and love the countryside and want everyone to be able to enjoy every aspect of country living to the fullest…without compromising their sense of style. So whether you are actually living the country life, simply escaping to the country at weekends or even if you just like the country look, Jack Murphy have the perfect collection for you. The rugged Irish landscape and tumultuous Irish weather have taught them that, whether you are in the city or the countryside, even the simplest outing can pose a serious style challenge – no matter what the time of year – so they do there utmost to make their range both functional and fashionable to ensure you are always poised and looking fabulous no matter what the weather throws at you. From country pursuits to tea in town or a day at the races we have everything you need for your perfect country look.